Tested ARTIK 530 on the GPIO function, implemented the switch to control the LED light on and light off, with successful result. Red LED GPIO 28 n.a. Blue LED GPIO 38 n.a. Follow this Link, you can use Arduino IDE, Python or C to control the LED. Below shell command can shows controlling the blue LED (GPIO 38). Blue light will light on and off. Python code can be downloaded, tested and it's working properly, here I am using c code below to control the Blue light on and off every one second. * Print a greeting message on standard output and exit. * On embedded platforms this might require semi-hosting or similar. * Adjust it for other toolchains. Follow this Link to read the Button / Switch. 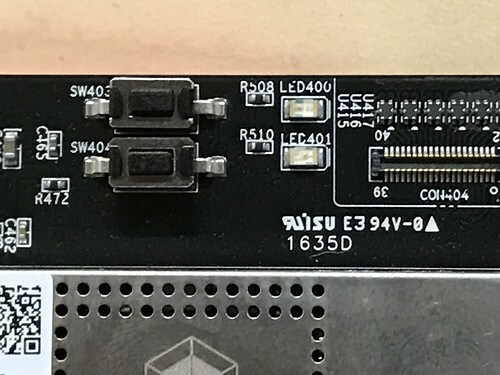 Below c code to read Switch 403 (pressed status) to light on the Red LED, and read Switch 404 (pressed status) to light off the Red LED.